Beige leather interiors with satin-finish aluminium inserts and cold metal bits gives it the appearance of a Riva luxury yacht or a Learjet. It is hard to be objective about a car of the S-Class’s ilk. You see, the Mercedes-Benz S-Class has for decades worn the tag of ‘the best car in the world’, and not without reason. Officially named the S-Class in 1972, the S has been the saloon of choice for most of world politics’ biggest bad boys. Idi Amin, Saddam Hussein, Marshal Tito and Kim Jong-Il had a similar outlook on social welfare (or the lack of it) and the car they chose to be driven in. In recent years, with dictatorship losing popularity, the S-Class became more of a rich man’s car. Legal eagles, media head honchos and celebrities found a great ally in the S-Class. It provided just the right dose of flash, a certain degree of discretion, a sense of authority and, above all, extreme comfort. Of late, however, the S-Class was not the only one in its playing field. Competition swooped in from all corners: the Audi (the A8L) and BMW (7 Series) and later the Porsche Cayenne and the Range Rover. With Bentley and Rolls-Royce also creating improved machines, the S-Class had to re-invent itself to silence its critics once and for all. So, Mercedes-Benz came out with the W222 S-Class. In comparison to the one it replaces (the W221), the S-Class is far more subdued. The previous car was edgy and angular, designed to look futuristic, while the new car is exactly the opposite. It has found its curves again and looks elegant and stately, much like an S should. Apart from the sheer dimensions, it’s not very intimidating. It relies on soul rather than in-your-face elements. The S 350 CDI is, as you may have guessed, the diesel alternative to the S 500 (which has a big petrol V8). It gets a 2987cc, V6, diesel motor that produces 254.7 bhp and 63.2 kgm of torque, which in comparison to the petrol version, seems unimpressive. This is further amplified when you drive it because, given that it weighs over two tonnes (2132 kg, to be precise), the engine simply doesn’t have the kind of fist-in-your-face punch you’d expect. Then again, it’s intentional. 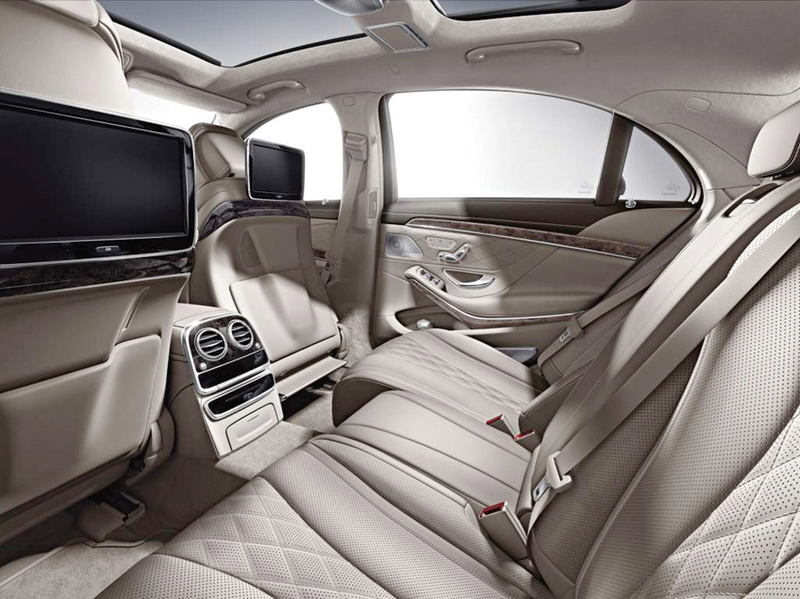 A majority of S-Class owners prefer the rear seats. For a car that will be mostly chauffeur-driven, who’s looking for action-packed driving nirvana? The 350 CDI motor is, then, quite suited to the real world application of the S-Class. And, it’s no slouch, by the way. At 100 kph, it’s pindrop silent. Eighty more, and it lets through barely a whoosh. And, at 230 kph — it’s running out of steam by then — you can still catch every word your assistant is saying, without missing out on the fine print. 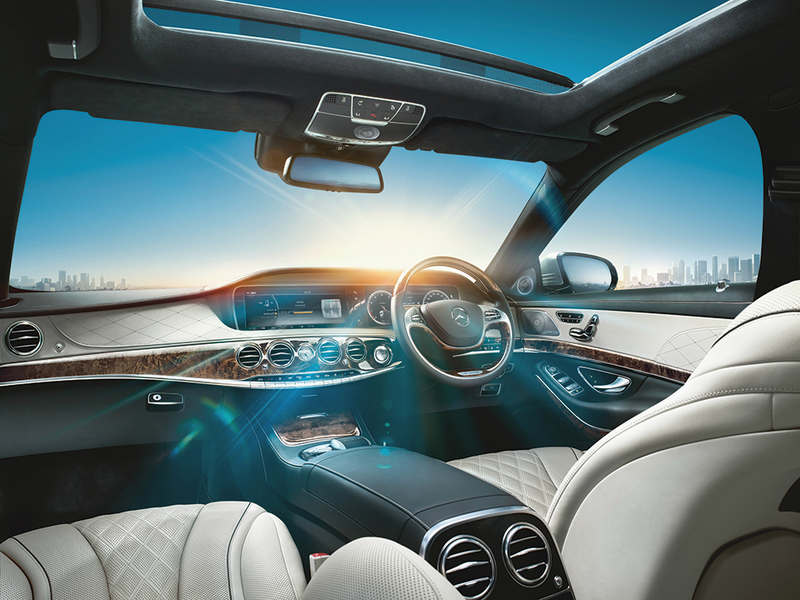 There is a lot more to the S-Class’s interior than merely silence. It is bathed in pretty much the same trim as can be found on the best from Riva and Learjet. From light beige leather to satin-finish aluminium inserts and tasteful cold metal bits, the S-Class is every bit a swanky Monte Carlo yacht by day and an ice-cool Dublin club by night. The extremely well designed ambient lighting on the S-Class’s interior will not let you want to step out of it and head elsewhere. So, is the S 350 CDI perfect then? Well, it is on most counts. It certainly has its bases covered in terms of luxury and appeal. However, I still wish this car had a little more power on tap — just a wee bit — but, then again, I’m not the customer Mercedes-Benz has in mind so, we’ll have to agree to disagree. Most importantly, what the S-Class achieves is the creation of a niche for itself. It will, hereafter, be fortified against threats from Audi and BMW. The S-Class has reinvented itself beautifully, retaining its essence while still standing out as a technological marvel.